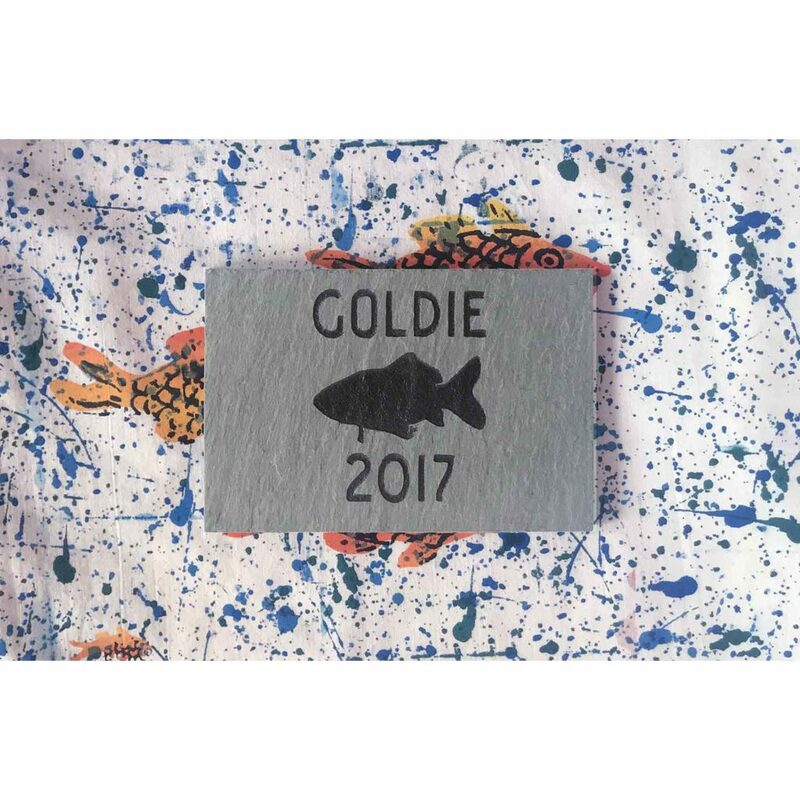 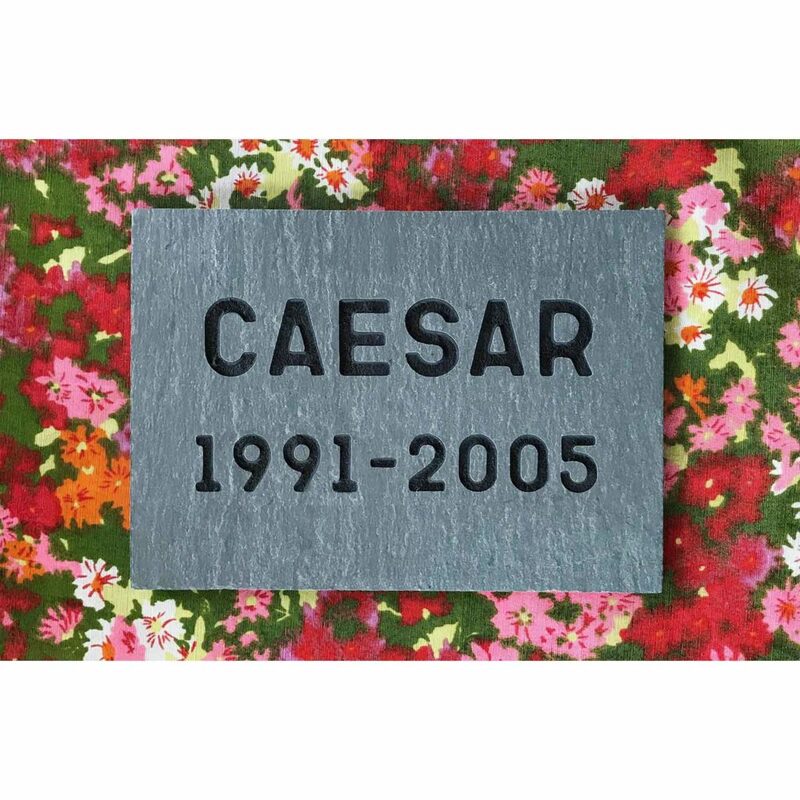 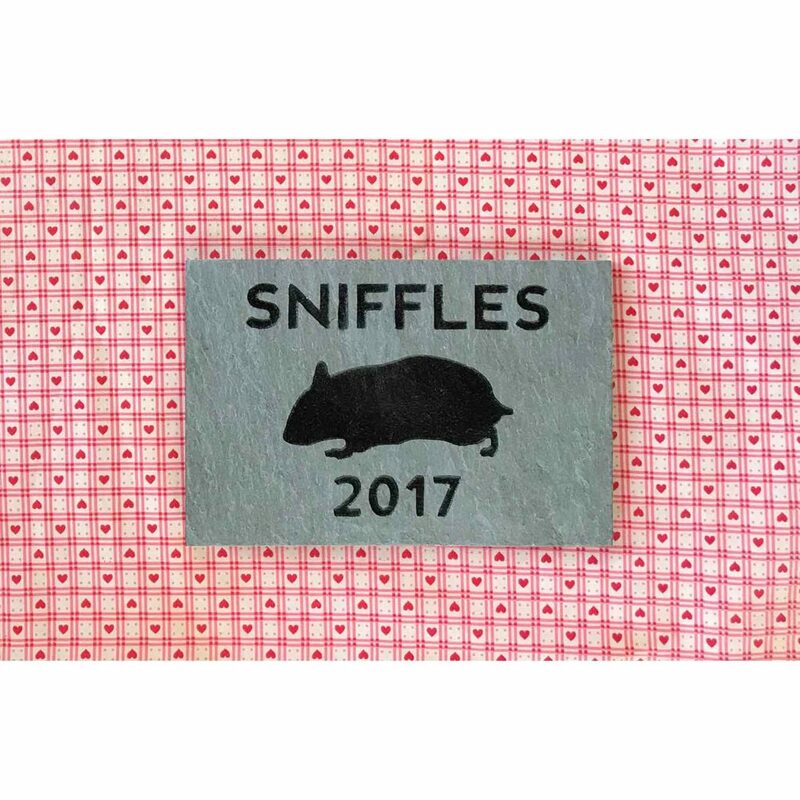 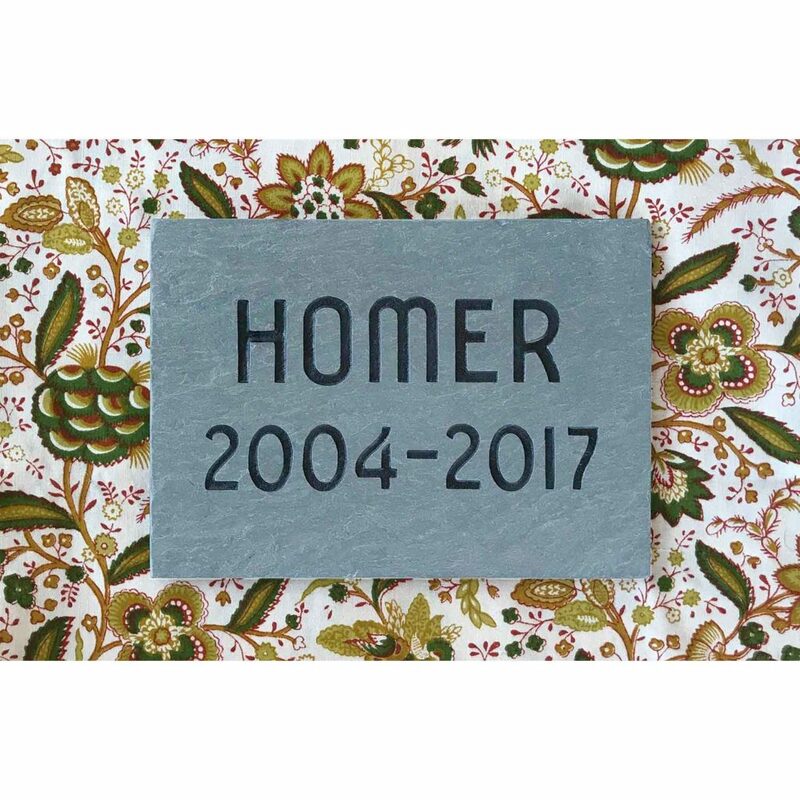 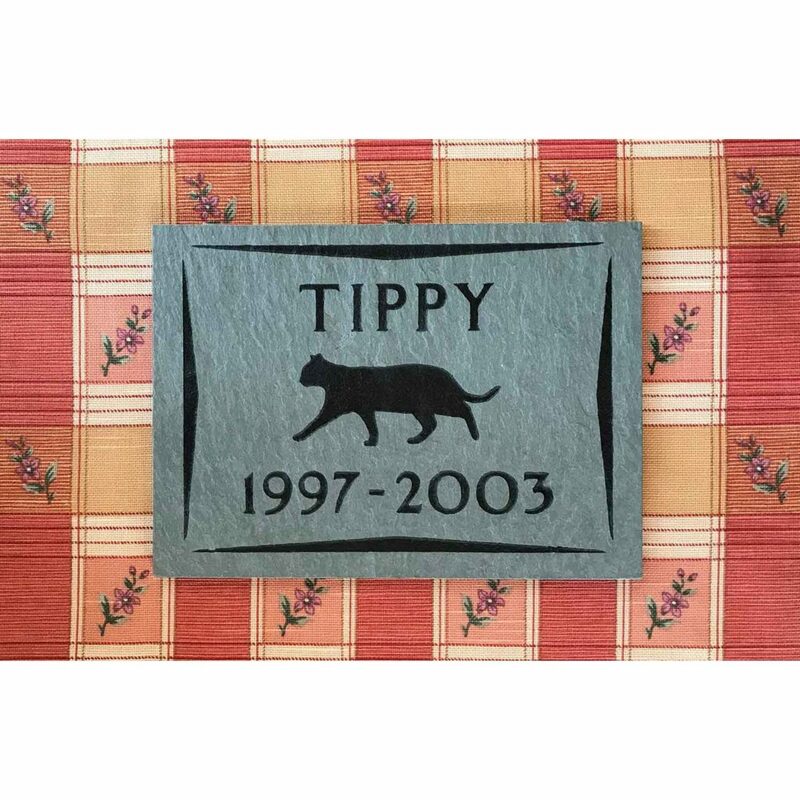 Our lovely slate memorials come in four sizes – small and large 1/4″ tiles and small and large structural slates. 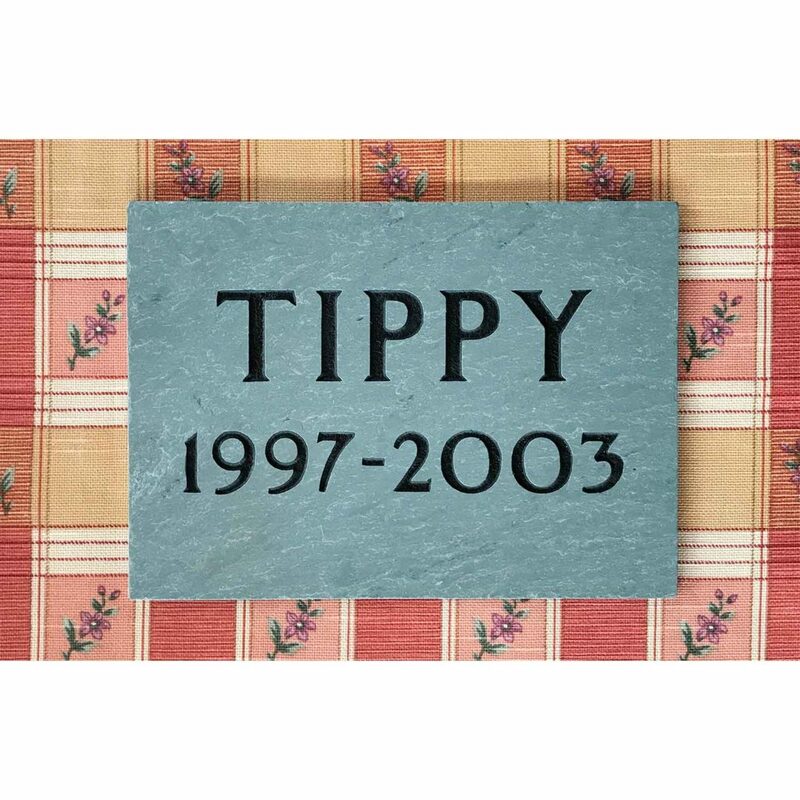 The thickness of structural slate runs from half an inch to a full inch. 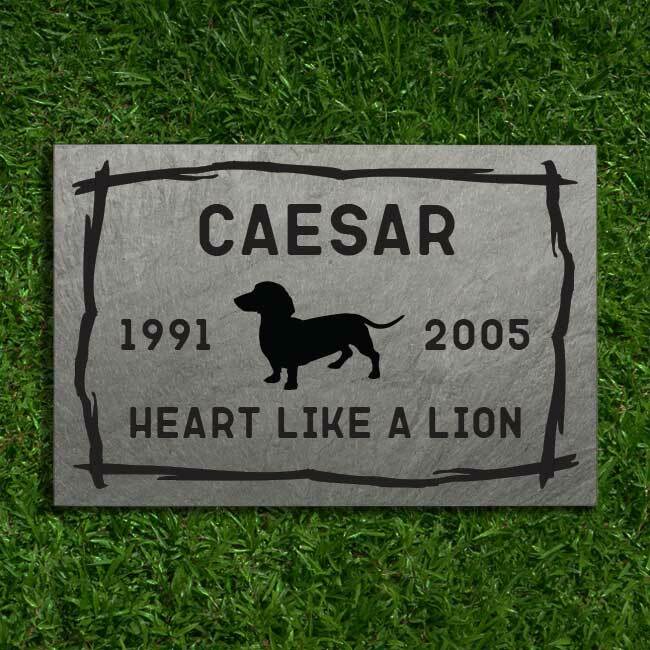 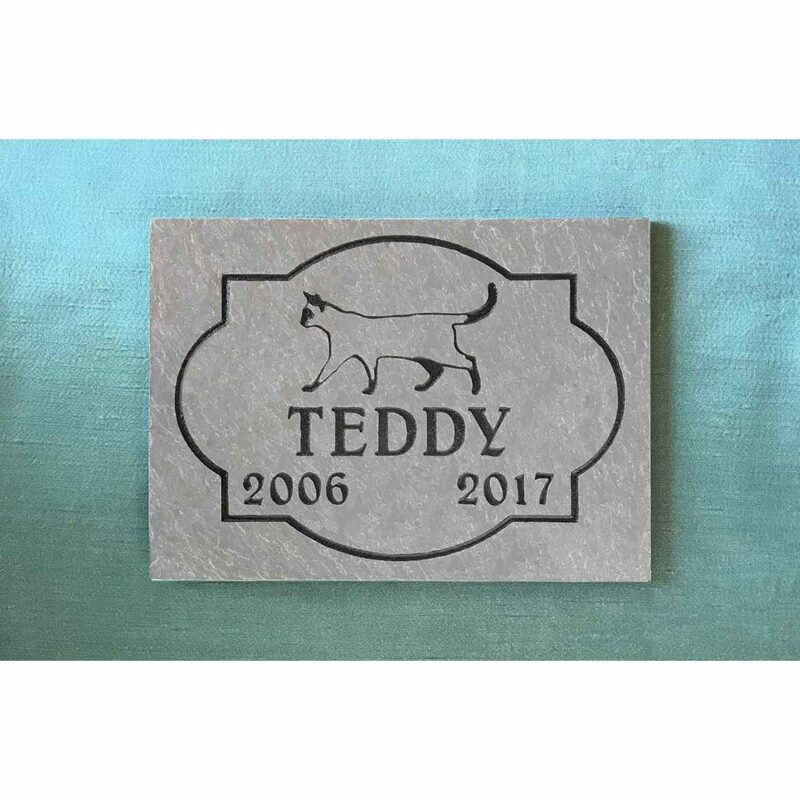 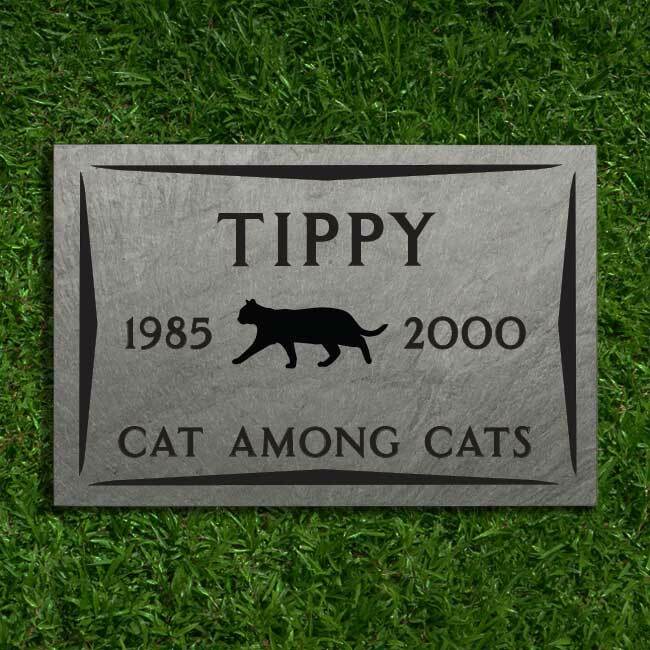 Made from slate quarried just north of us in Vermont, these memorials can be personalized with a breed silhouette (we have over 140 breeds of dogs as well as short and long-haired cats), name, and dates or any variation of those items. 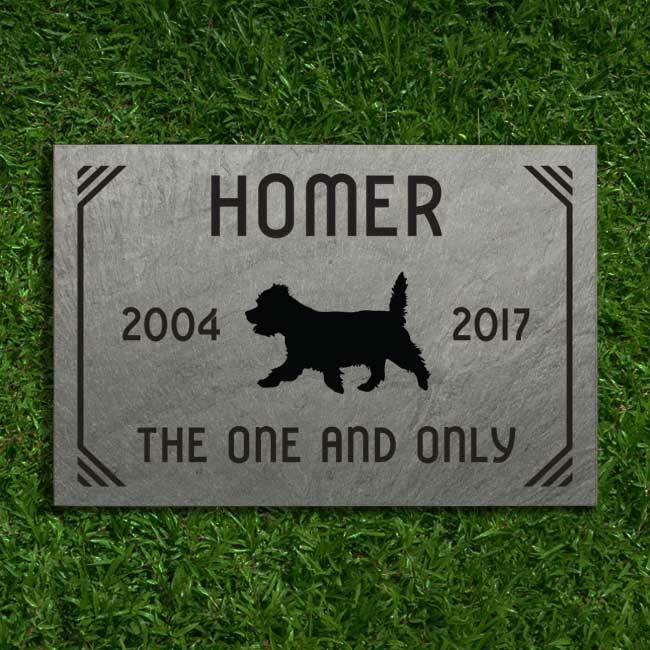 We can also make a silhouette from your photograph for an additional charge; please contact us at orders@minglewoodarts.com for more information. 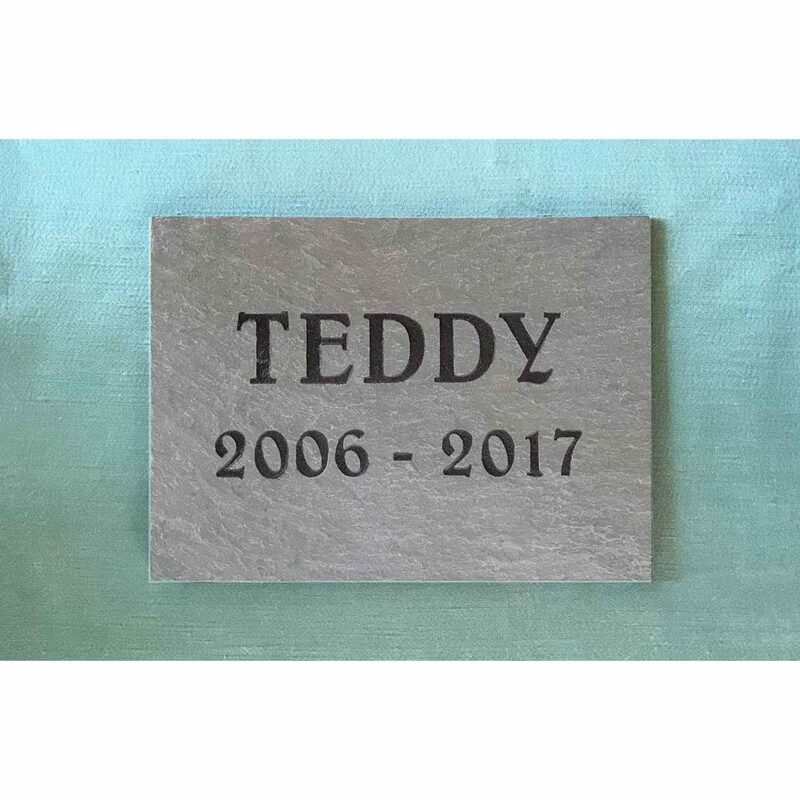 Slate is a natural product and you should expect variation in the stone; each memorial is unique.